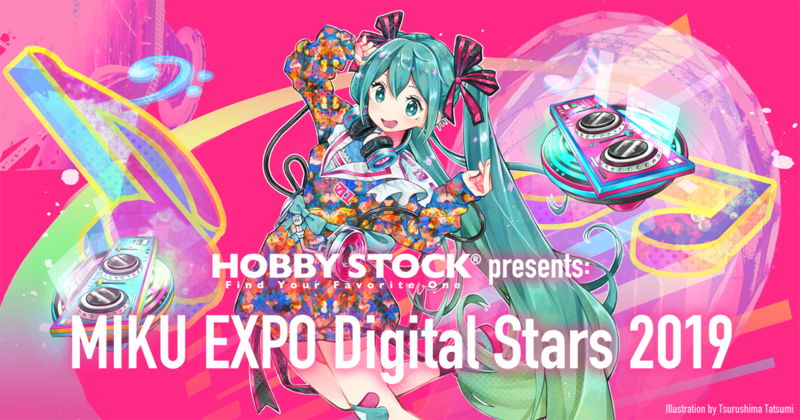 HOBBY STOCK Presents: MIKU EXPO Digital Stars 2019 is a club event where fans can come together to party outside of the HATSUNE MIKU EXPO 2019 in Taiwan concert. Bringing together musicians and DJs from inside and outside of the Miku community, Digital Stars 2019 aims to cross boundaries between genres, as Miku herself has done in the past. With local acts and special guests in store, come through for a unique lineup unlike any other! Exclusive Digital Stars 2019 merchandise from HOBBY STOCK will be available at the venue. 2. Photo ID is required. 1. Print out your ticket with “FamiPort” available at FamilyMart in Taiwan. 2. Receive your E-Ticket (QR code) by email. Don’t forget to bring your E-ticket either printed out on paper or displayed on your smartphone screen. Tickets are refundable with 10% return handing fee up until 10 days before the event, which means tickets must be RECEIVED by KKTIX on and before 2019/4/29ickets RECEIVED on and after 2019/4/30 for refund will NOT be accepted. For KKTIX address, please refer to KKTIX REFUND POLICY. NOTE: If you choose Family Mart as ticket collect method, you will still need to pick up your ticket at Family Mart and send it to KKTIX.